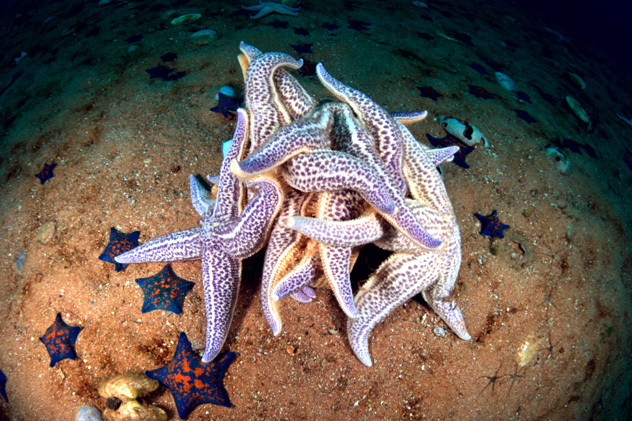 Familiar yet undeniably alien, starfish are bizarre creatures that inhabit a wide range of ocean environments. Their appearance frequently matches the popular depiction of their celestial namesake, but those freaky bodies hold plenty of surprises. What creature could lack a brain but have eyes on its feet, or have no blood but be able to digest outside of its body? Get ready to learn about creatures that often seem to defy the laws of animal biology.